A great find on digital form. 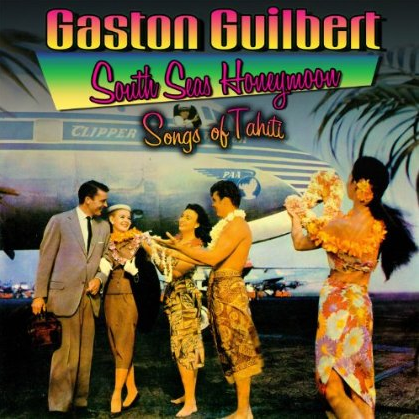 The 50's LP was part of the prolific catalog of south seas songs by Gaston Guilbert. The cover is wonderful and the music is so vintage it really transports you away to another place and time. I never thought I'd see this in digital form. They kept the cover art pretty much intact with only minor alteration. A must have! SPECIAL NOTE: This album was available for a short time as a digital download. Now it is no longer availabe...is it possible for a download to go out of print? Anyway, it is still available as a download on international sites like Amazon and iTunes, just not to US buyers.